Introducing FishSmart from Humminbird, the name you know and trust when it comes to making the most of your time on the water. 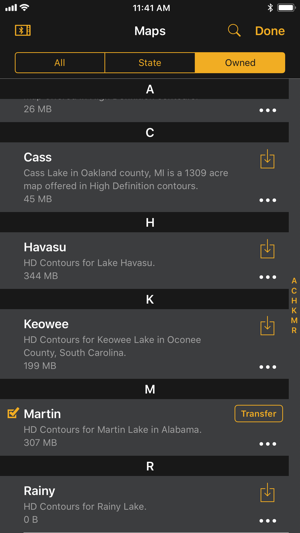 With the new Humminbird FishSmart app, you now have the ability to access our library of high definition lake maps, as well as transfer maps and important software updates directly onto your Humminbird fish finder. 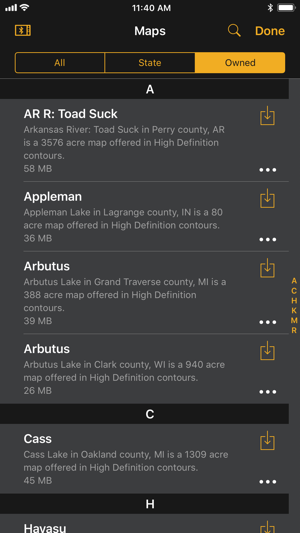 - Access to High Definition LakeMaster Lake Maps on Your Smartphone and Humminbird fish finder: For those who seek the best freshwater lake maps, FishSmart allows you to purchase detailed contour maps of more than 1,500 LakeMaster lakes directly within the app. You can then view your LakeMaster lake map within the FishSmart app, or, you can now download your LakeMaster purchase directly onto your Bluetooth-equipped HELIX G2N and SOLIX series fish finder. 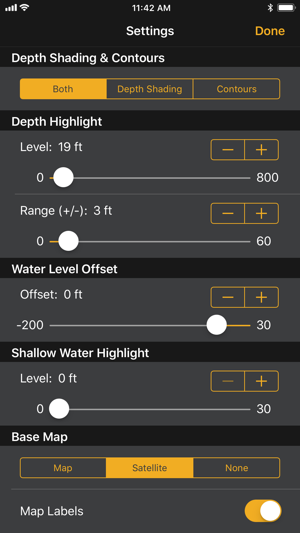 - Ability to Identify and Perform software updates on your Humminbird fish finder: The FishSmart app allows you to identify if there are any software updates available to your Humminbird units. Depending on the models you own, you can then seamlessly download the update directly onto the internal hard drive of your Bluetooth-equipped HELIX G2N or SOLIX series fish finder. - GPS Enabled Navigation: Know your exact location, speed and course out on the water, with GPS enabled navigation available in FishSmart directly through your smartphone. - Data Planning Tools: The new FishSmart app allows you to plan waypoints and routes to get a head start on your fishing trips. It also allows tracking on the water so you can save your tracks for future trips. - Data Sharing Tools: FishSmart allows you to import or export waypoints, routes and tracks in GPX format to share with your friends or transfer them to your Humminbird fish finder. - Map Sharing: Maps purchased on ChartSelect are exclusively available for use on both your Humminbird fish finder as well as in the FishSmart app. No extra map purchase required. Already own LakeMaster lake maps purchased via ChartSelect and want to use them on your smartphone? No problem! As an added benefit, all existing LakeMaster lake maps in your ChartSelect account are accessible for free within FishSmart once you download the app and sign-in to your account. Continued use of GPS running in the background can dramatically decrease battery life. For convenience, charts will be available for re-download for at least one year after purchase. The app is free which is awesome and it gives you satellite imagery of any lake you want to see. The in app purchase of an HD lake is easy and then gives you all the features just like the Humminbird units. 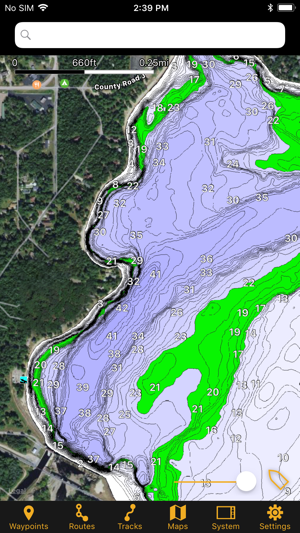 Depth highlight, shallow water highlight, water level offset, make waypoints and routes. I use this app on my iPad so I can study lakes and plan trips from my couch. Also take the iPad on the boat and use the app to run the waypoints I made. Favorite feature is the quick ability to hide or show the HD map layers. Use the satellite imagery as the overlay then slide the circle at the lower right of the screen and see things others miss on the imagery. I really like this app for the ease of scouting on my phone. I hate spending extra money on maps I feel I have already paid for with my lakemaster chip, but I think it was worth it for my most fished lakes. Why does the app need to validate my purchase every time I open the app? This process takes too long. I wish it would give me the option to rename a waypoint right when I create it. Having to go in and edit it just adds more steps. I don’t think most people use the default naming convention. It would be nice if we could zoom in as far as you can in google earth. Why can’t we upload waypoints/routes to our graphs just like uploading FW to the unit via BT? I use this on my iPad and my iPhone. Why can’t we have a setting to link my devices to share the waypoints between them? You solve these issues and it’s a home run. This is a great app. Yes, it doesn’t have SmartStrike on the app. This feature is only half useful anyway on Sonar units. You have to not attention to much more than just pink blobs to catch good fish. So it wouldn’t help at all to have it sitting on the couch. 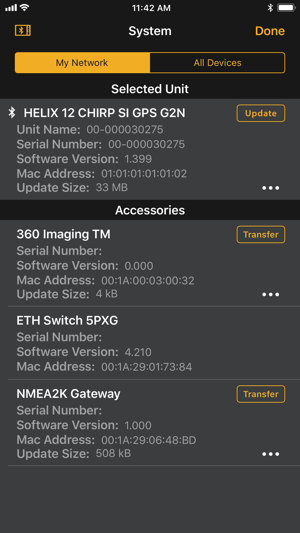 Having LakeMaster apps on the iPhone and iPad are great. Being able to study an area or section of a lake while not wasting time while you’re on the water is just plain awesome. It makes for quicker plans once you start fishing. I will make 2 or 3 planned routes, upload them, and see what’s working when on the water. The lakes are not over priced for what you get. I would like to see the ability to upload your AutoChart love data so you can ya e even more detail to run through. Overall, it’s a great app.